While Google Adwords allows 25 characters for the title and 35 characters for each line of ad text (two lines of text in total), Baidu allows twice the length! The specifications are: 50 characters for the title and 80 characters for each line of ad text (in total two lines). You are having more space to describe your products or services in detail. In contrast to Adwords, advertisers can choose to only write one first line of ad text for a Baidu ad and leave the second line empty. However, it is very important to note that, even if you decide to use both lines of ad texts for your ad, the chance that both lines are displayed depends on the position of the ad. 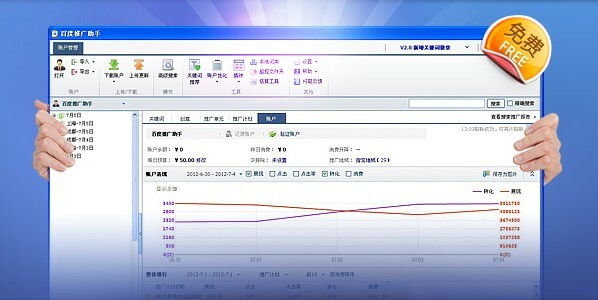 Only when an ad has the highest relevancy and a very good quality score, Baidu will display it on the top positions of its search results, showing both lines of ad texts. When an ad is presented on the other positions, Baidu will only show the first line of the ad text. Therefore it is highly recommended to write the first line of your ad in a way that it can stand alone, – meaningful and grammatically correct – in case the second line is not being displayed at all. For advertisers who want to mirror their Adwords campaigns on Baidu and want to do so in a quick way, they can combine their two lines of ad text on Adwords and use them as a single text line for their Baidu ad. Two text lines for an Adwords ad have a maximum 70 characters, which fit easily within Baidu’s 80-character limit. The second important difference for Baidu PPC is that your campaign and ad group names must not be longer than 30 characters. This difference could potentially cause difficulties for advertisers who use long names within their Adwords account and want to mirror the structure for their Baidu PPC account. In order to prevent your campaign and ad group names from being rejected by Baidu during the upload, make sure you have named them according to the character limit or shortened the existing Adwords names in an appropriate way. Bad news to advertisers who are used to the (seemingly) unlimited list of negative keywords on Adwords: Baidu only allows a total of one hundred negative keywords. Well, you could have one hundred negatives per campaign and another one hundred for each adgroup, but it is still way fewer than what Adwords allows. The recommendation for advertisers is to take the hundred shortest negatives on campaign level, which can cover as many essential negative terms and combinations as possible, and further add negatives on the ad group level. But what, when the allowed number of negative keywords on the ad group level has also been exhausted? Try change match type down to phrase or exact! Besides these three major differences, there are some other small differences which you should be aware of, such as the format of dynamic keyword insertion and restrictions on display URLs. Make sure you have downloaded and installed the Baidu Editor desktop application for bulk upload. It has an English version and functions quite similar to Adwords Editor. If your account is located outside of China, be prepared that the uploading, downloading and performance data retrieval could take much longer than with Adwords Editor. We are a small and multilingual team located in Germany specializing in Baidu Pay Per Click (PPC) and Google Adwords PPC campaign management. We have the experience and local expertise to help you plan and manage effective and efficient Chinese paid search campaigns.